ROCHESTER, NY (WXXI) – A backlog on the federal level is hurting local brewers. Geoff Dale owns local craft brewery Three Heads on University Avenue. He said a delay or another shutdown could hurt his business. Delays prevent brewers like Three Heads from adding to their line of products. Paul Leone is the executive director of the New York State Brewers Association. He said that close to 100 brewers in New York state are looking for TTB approval to go into business. 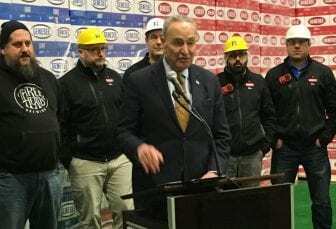 Schumer is asking that the Alcohol and Tobacco Tax and Trade Bureau take action now.